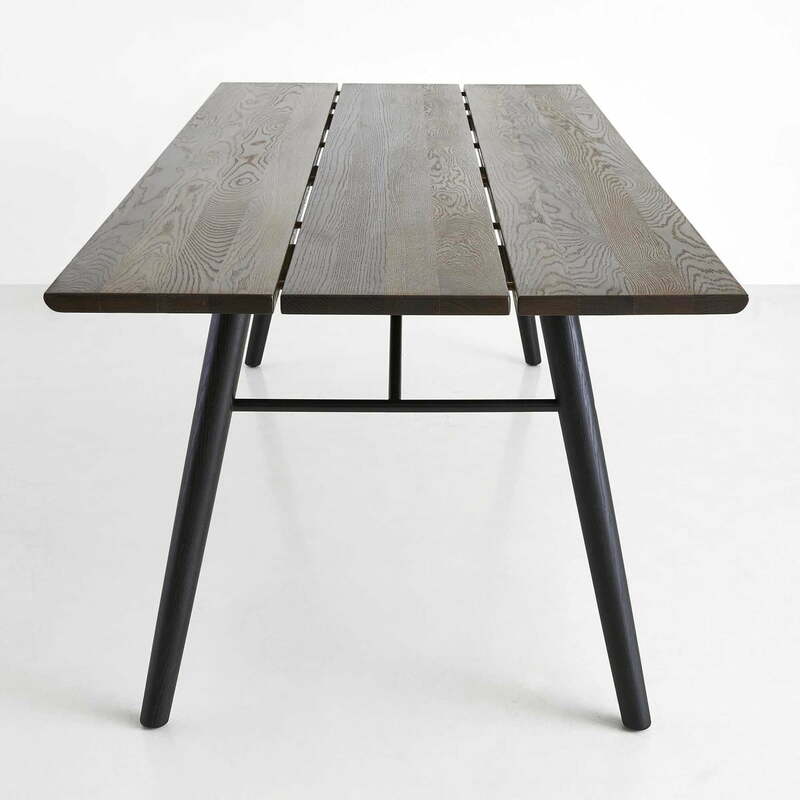 The Split dining table by Woud is the Scandinavian interpretation of a planks dining table. The masculine table top consists of three massive wooden planks, supported by rounded wooden legs. 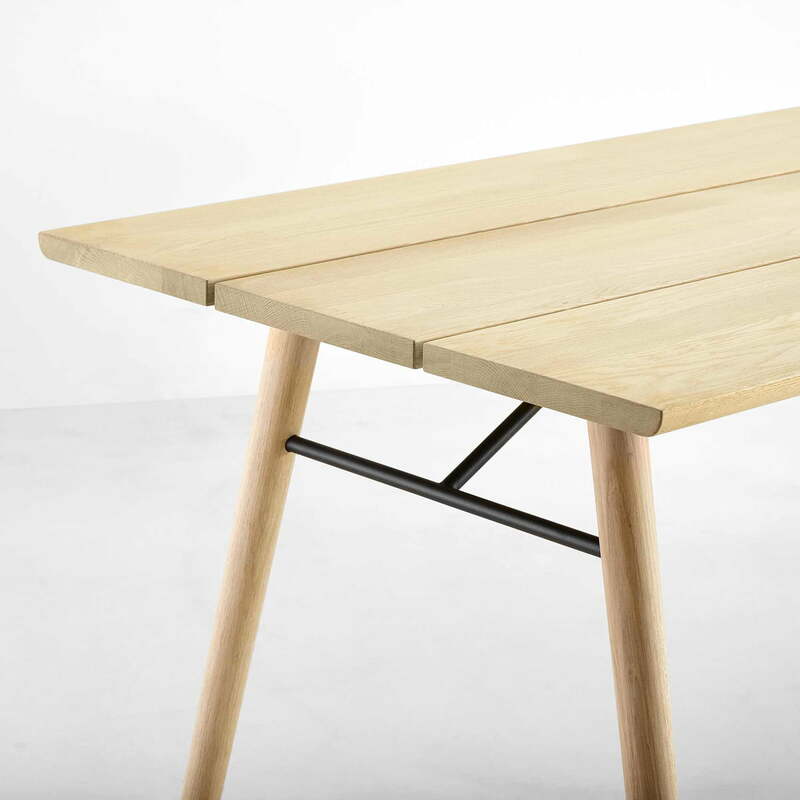 The dining table from the pen of the design studio Says Who makes for a Scandinavian flair in the living room with its minimalist design and natural charm. Coming in different designs, the modern wooden table has room for four to six people. This makes the Split table - whose name derives from the characteristic design of the tabletop - the perfect dining table for larger kitchens and living areas. More designs, respectively colours, are available on request. 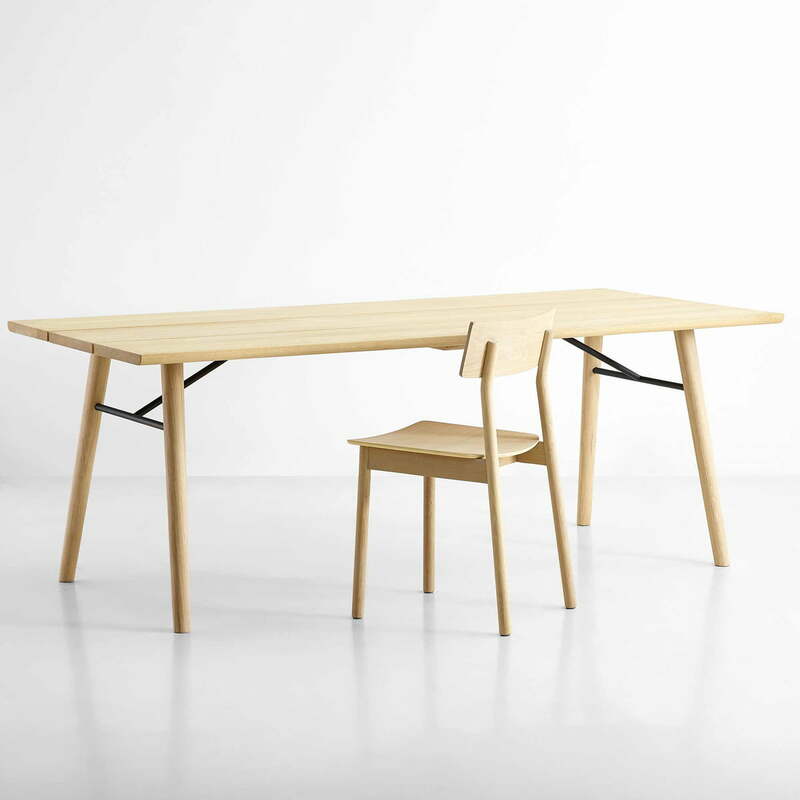 Single image of the Split Dining Table by the Danish manufacturer Woud. The three planks of the table top are made of smoked oak and the legs are black. 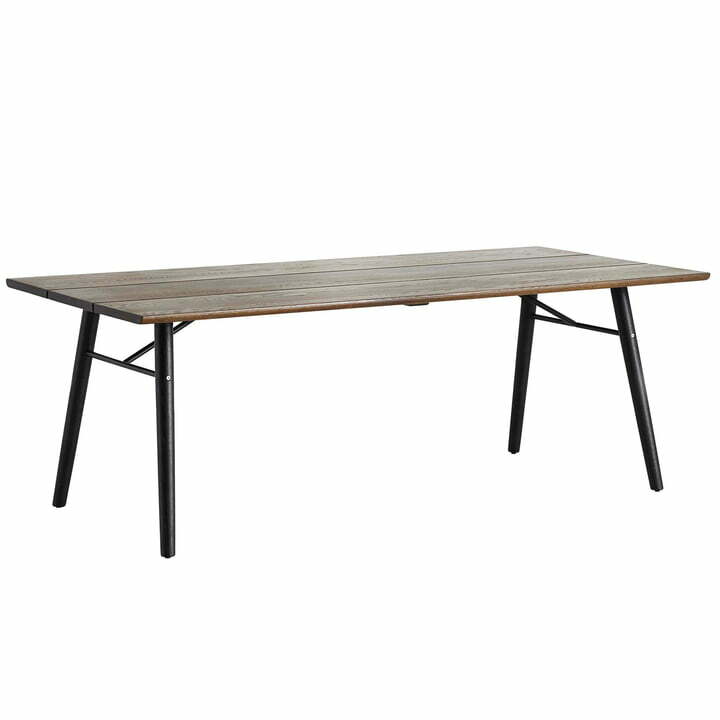 Single image of the Split Dining Table by the Danish manufacturer Woud. Both the three planks of the table top and four legs consist of soaped oak wood. 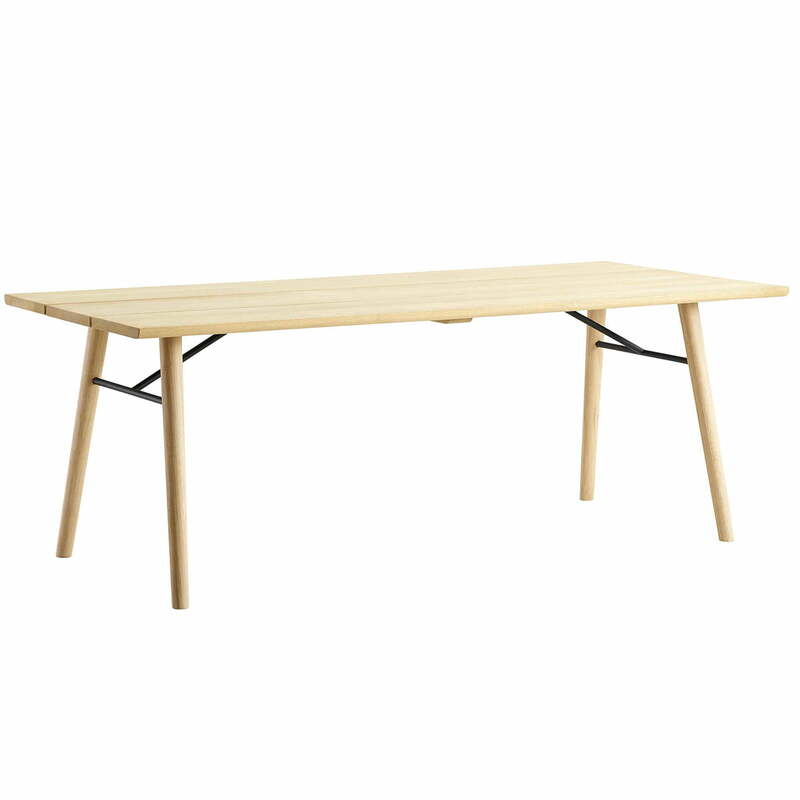 The Split dining table by Woud is the Scandinavian interpretation of a dining table made of planks. The masculine table top consists of three massive wooden planks, supported by rounded wooden legs. The Split dining table by Woud, the Pause dining chair by Woud and the Coupé wall shelf by Woud give make for a harmonious picture in the dining room or living room. 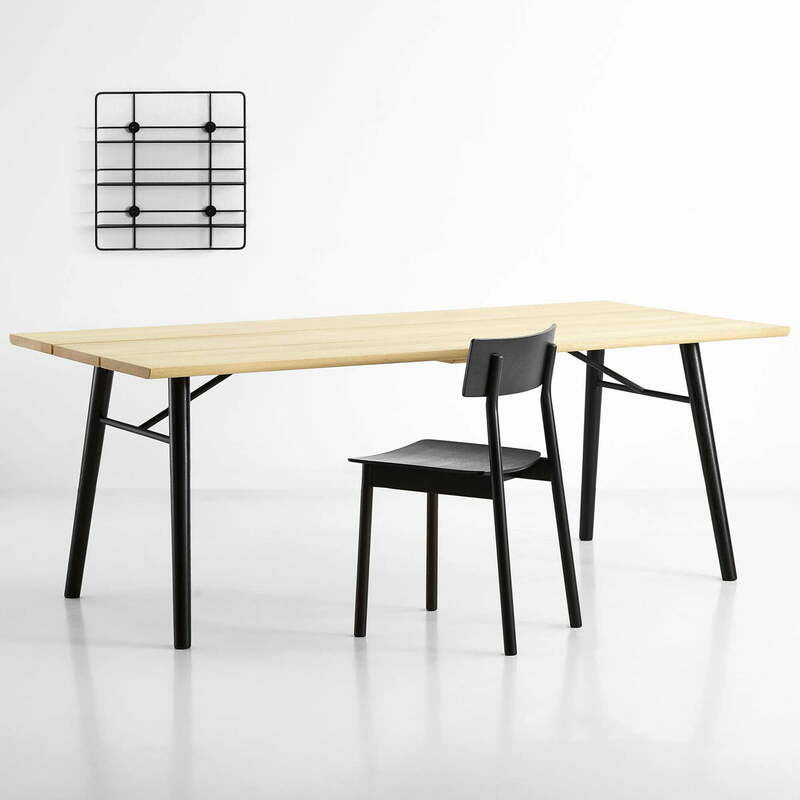 Both the Split dining table by Says Who for the Danish manufacturer Woud as well as the Pause dining chair by Office KN for Woud are made of fine soaped oak wood. The dining table designed by the design studio Says Who, appears stable and light at the same time and thus becomes the eye-catcher in any living area.